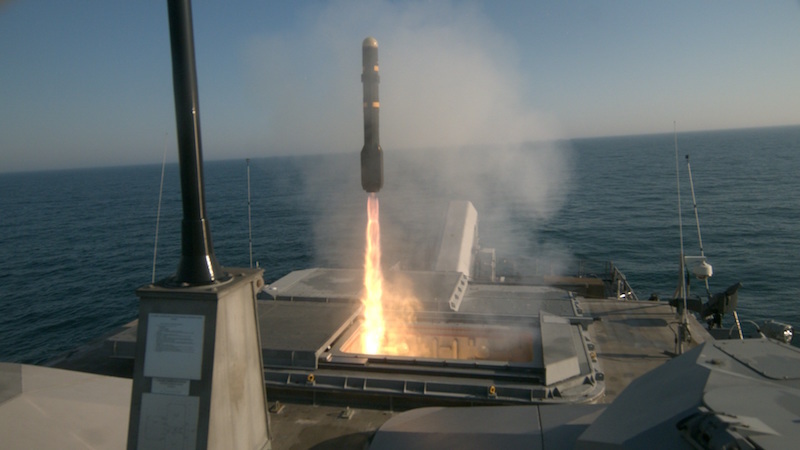 ATLANTIC OCEAN --- The Freedom variant littoral combat ship USS Milwaukee (LCS 5) conducted a live-fire missile exercise off the coast of Virginia May 11. A small surface target is seen damaged after being struck by an AGM-114L Longbow Hellfire missile fired from the Freedom variant littoral combat ship USS Milwaukee (LCS 5) during a live-fire missile exercise off the coast of Virginia, May 11, 2018. Milwaukee fired four Longbow Hellfire missiles that successfully struck fast inshore attack craft targets during a complex warfighting environment utilizing radar and other systems to track the targets.